[+] Rigidity theory: Infinitesimal rigidity, rigidity matrix. Tensegrity theory: tensegrities, equilibrium stress, duality, polyhedral lifting, Maxwell-Cremona Theorem. 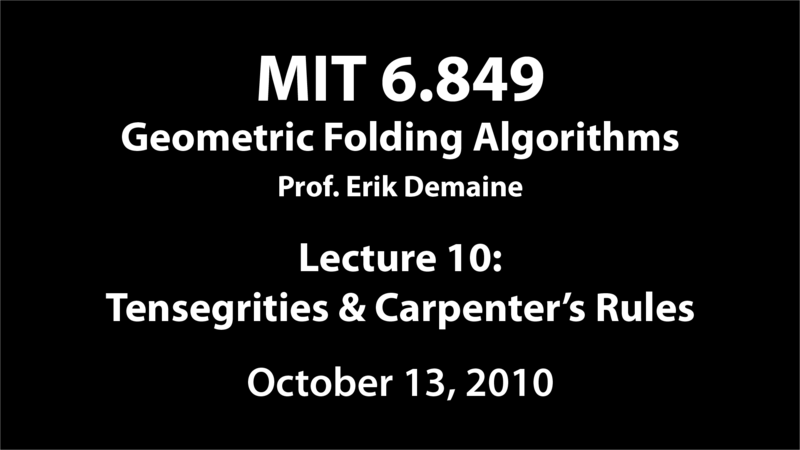 Locked linkages: Carpenter's Rule Theorem. This lecture continues our tour through rigidity theory, introducing two more big ideas: infinitesimal rigidity and tensegrities. 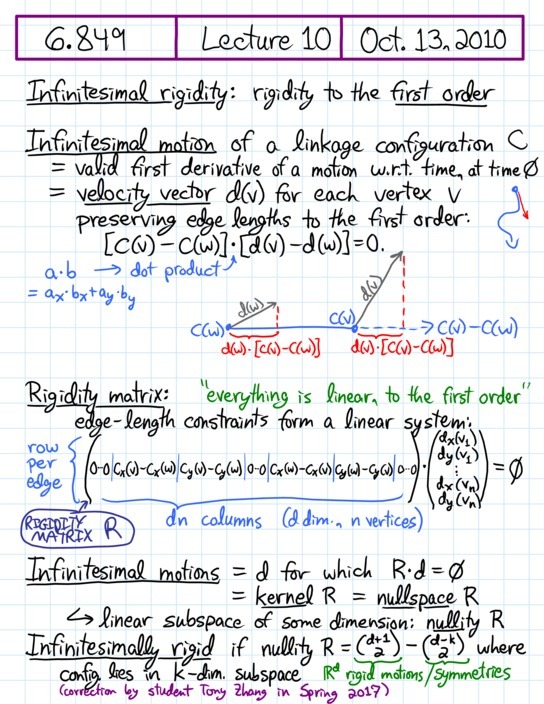 Infinitesimal rigidity is a nice way to capture the generic case using linear algebra, and it nicely generalizes (and is efficiently computable) in any dimension. Tensegrities (a term coined by Buckminster Fuller) allow the addition of struts (which prevent compression) and cables (which prevent expansion) in addition to bars (which prevent both—which is what we've mostly been thinking about). A nice special case of tensegrities are “spider webs”, which turn out to relate to the algorithmic design of origami tessellations. Although not obviously related, the rigidity tools we build up allow us to prove the existence of actual folding motions between any two configurations of “chain linkages” (whose graphs are paths or cycles) whose edges aren't allowed to cross. This Carpenter's Rule Theorem (which was essentially my PhD thesis) kicks off our coverage of understanding when linkages can “lock”. 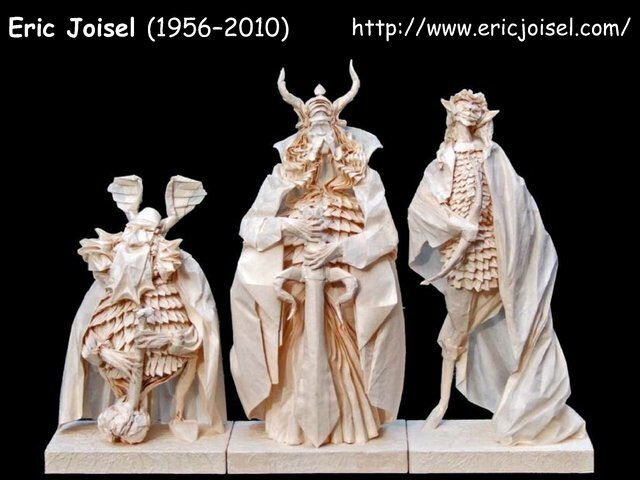 Sadly Eric Joisel died this past weekend. Photos used with his permission.